The internship program is only available to students who are currently enrolled in an Entertainment Studies certificate program and have completed approximately 50% of their required coursework. Internships are an extraordinary way to obtain real-life work experience and make the vital connections necessary to a successful career in the entertainment industry. The Entertainment Studies program offers internship opportunities in the fields of Film and Television, and the Music industry. We bring students and entertainment companies together, moving students toward successful entertainment careers. Students earn academic credit and entertainment companies gain access to a well-trained student population taught at UCLA Extension by working professionals from the Los Angeles entertainment community. Our students are extremely dedicated, driven, and regularly receive strong recommendations from employers. Every quarter we assist students in finding placement in major entertainment companies, independents, and other media productions in Hollywood. In return, we look for companies that will provide a unique learning experience rooted in “real-world” practices and a professional work environment. If you are an employer and want to become part of our exceptional roster of entertainment studies related internship companies, please email or call our office at (310) 825-9064 and ask for the Internship Coordinator. Reputable companies will require interns to receive school credit for internships, and this is what our internship program is designed to facilitate. Students typically intern 14 to 20 hours per week for a total of one university quarter (12 weeks). Quarters run from late September to mid December (Fall); January to March (Winter); April to mid June (Spring); and July to late September (Summer). Students must complete a minimum of 120 hours to receive credit. X 400 to X 499: Generally post-baccalaureate credit-bearing courses and lecture series in professional fields; designed in content, focus, and presentation style to standards of instruction used in degree programs. Credit earned in these courses may lead to the award of formal certificates by UCLA Extension, and may be transferable for advanced standing in degree programs in professional studies elsewhere, subject to the procedures of the receiving institution. Many courses in this category are of general interest, while also offering particular opportunities for professional, paraprofessional, or other career advancement. Students are responsible for the delivery and completion of all required paperwork. In addition to the “Internship Application” and “Verification of Internship Completion” forms, students must complete a written paper describing their experiences during the internship. For more information, please email or call our office at (310) 825-9064 and ask for the Internship Coordinator. Each quarter we are contacted by studios, agencies and management companies, networks, and production companies who seek qualified UCLA Extension applicants. Students are encouraged to further research these companies and use their own best judgment in pursuing the right opportunity. If you believe a company does not provide a professional and adequate work environment, please let us know. 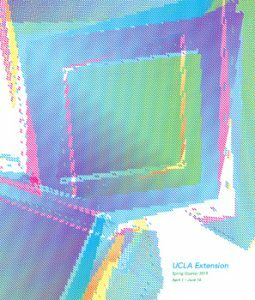 Current UCLA Extension Entertainment Studies certificate students are eligible to receive a copy of our ongoing internship list. While this is an excellent resource, it is not an exhaustive list. We encourage you to also seek internships on your own by contacting those companies that are of interest to you as well as consulting various online resources such as www.entertainmentcareers.net and www.mandy.com. UCLA Extension Certificate students may apply a maximum of 8 units of internship credit towards most programs. If you would like advice on finding the right internship, feel free to make an appointment with one of our Academic Advisors by calling (310) 825-9064. Our offices are located at 10995 Le Conte Avenue, Suite 437, Los Angeles, CA 90024.